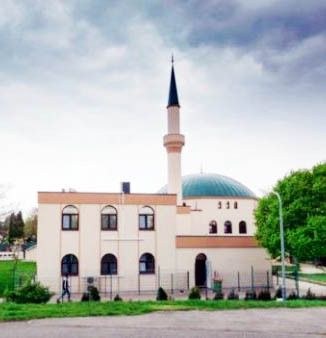 The Austrian government is closing down seven mosques because they allegedly "lack a positive mindset" towards Austria. Citing a 2015 law that prevents religious communities from receiving funding from abroad, the government also plans to expel 40 imams employed by ATIB, a group that oversees Turkish mosques in Austria. "Even if there were mistakes, even if these mosque communities have made mistakes, how do parallel societies emerge? With exclusion policies. We need warmer, welcoming policies in Austria, no matter what influences come from abroad. We must ensure that we can win these people over to Austria," says ATIB spokesman Ersoy Yasar. Imams have been funded from abroad, insists Yasar, because proper imam training in Austria still does not exist. "I do not believe that Turkish right-wing extremism can be handled successfully simply by banning it. The problem has to be tackled differently in my opinion," says a political scientist and expert on Islam from the University of Vienna, Thomas Schmidinger. "The Gray Wolf Mosque here at Vienna's Antonsplatz square is also being closed down by the government. The Islamic community itself had previously classified this allegedly right-wing extremist mosque as illegal. Turkey has meanwhile strongly criticised Austria's measures, calling them Islamophobic, discriminatory and racist," reports euronews' Johannes Pleschberger.